Like it or not, school days come quickly to those of us on summer break and for many that break is now just a few weeks long and school will be back in session soon. Preparing for a new school year now will save you many headaches later. We can achieve a happier school morning for our families by setting routines in place. Now is a very good time to start many of these busy school morning tips, especially the practice of laying out clothes and planning breakfast the night before. Allow your child to take part in the process when possible. Remember less is more with choices for school clothes. Limited options will make this task go much smoother, and if you child has a school uniform this is easy peasy! Backpacks should get checked for homework, and lunch should be packed the night before. Preparing the school bags the night before is a great habit to teach our children early on in their school years. Jr. High and Highschool will be a much happier experience if your child has homework ready for the day and organized! Check your calendar every single night. Keep it updated by allowing a few minutes to add new engagements and forewarn your children and any adults that are part of your child’s day of what is happening at least a day in advance Thankfully with modern technology we can now schedule reminders as well as sending a quick text. Have breakfast ready to go for the next day. Taking time to plan morning meals each week will save you time and money. Learn a quick and simple makeup routine ( Don’t be the worn-out frazzled looking mommy in the carpool lane.) I loved this book on the five-minute face . I hope you find these busy school morning tips helpful. I know they have helped me this year and I plan to implement them for the new school year as well! 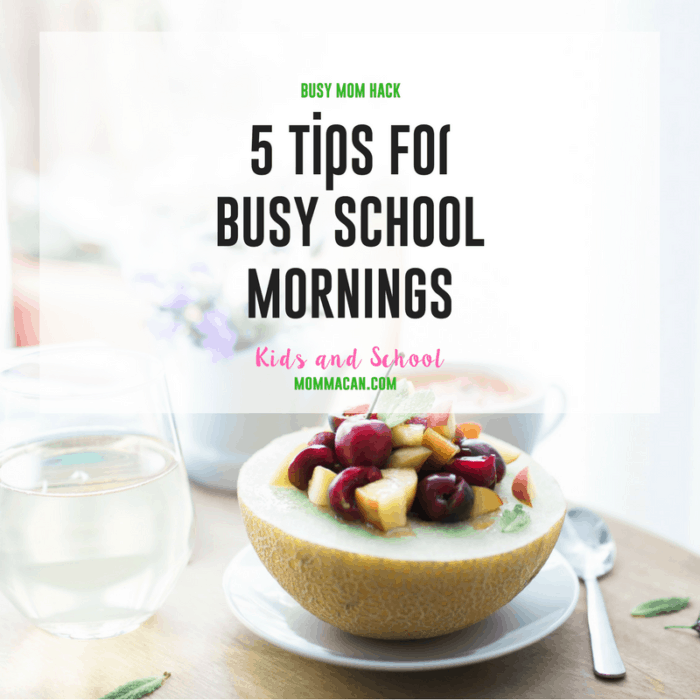 Do you have any busy school morning tips to share? 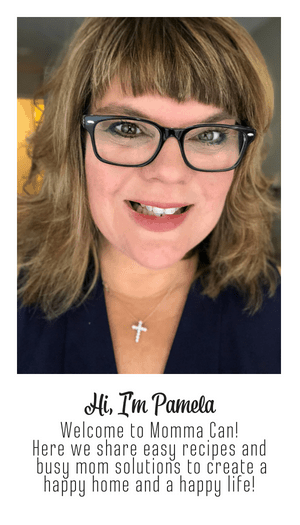 Great tips Pam – the one about going through te school bag the night before and preparing is vital !! Great tips all of them. I couldn’t agree more, especially the one about checking backpacks. A routine is really really important to get out of the house early. Even more so for working Moms.